Looking for easy, quick and simple keto recipes? Or want to spend a lot of time in the kitchen to hone your skills and prepare delicious keto meals for yourself and your family. Many of us just don’t have the time to spend hours in the kitchen to prepare meals. Also many people find the complicated recipes intimidating and just want to learn to prepare quick simple meals. If that is you, then Keto in Five may just be what you were looking for. I wrote this Keto in Five Review for you. What is Keto in Five? 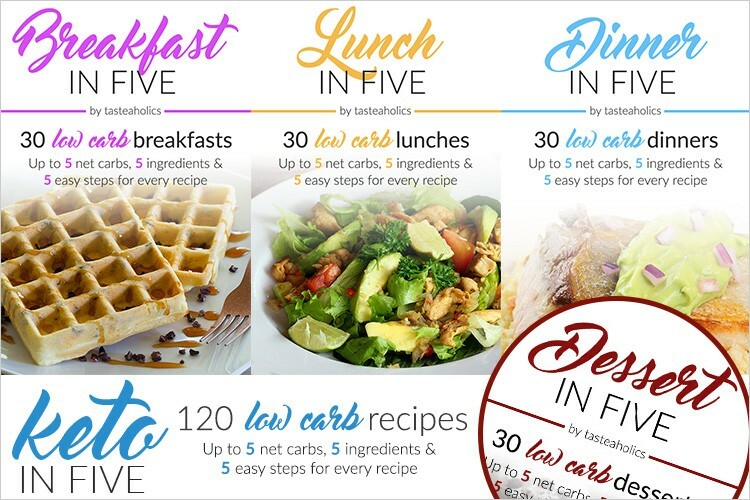 Keto in Five consists of four separate recipe books. As you can see, each recipe book covers one specific meal, one for breakfasts, one for lunches, one for dinners and now their fourth book is all about desserts. Each recipe book has 30 recipes. These recipes are all simple to make. Each is made with 5 ingredients and needs only 5 steps to make each scrumptious dish. Each of these delicious dishes have only 5 or less net carbs. You can buy these recipe books all together at a discounted price or you can buy them separately. Let’s have a look at each of them. Presents you with 30 yummy breakfast recipes to replace old favorites like pancakes, waffles, cereals and smoothies. These recipes are all fully keto compliant and are packed with fats and protein to get your day started on the right note. As you know, when you eat a high fat low carb breakfast you have lots of energy all through the morning and don’t get stuck with carb craving by 10. Lunch in Five has 30 delicious recipes that are perfect for packed lunches. I know it can be hard to stick to your keto diet, when you are not at home to prepare each meal. 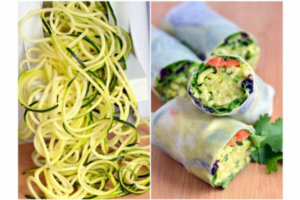 But these easy to make lunches will help you to take your keto lifestyle with you to work or school. In addition to the salads, wraps and sandwich recipes that you would expect to find in a packed lunch recipe book, they also have recipes for chowders, casseroles and even French crepes. Many of these desserts are almost too beautiful to eat. Dessert in Five include delicious raspberry danish cookies, two chocolate mousse recipes, creme brulee, panna cotta, cakes and puddings. And two ice cream recipes of course. What can a keto dessert cookbook be without ice cream? 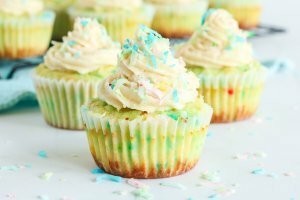 The best about these low carb dessert recipes though is that you know that each portion has less than 5 net carbs and are keto friendly. You can buy one of these recipe books. Or you can buy them all together at a massive discount. The recipes are really simple and easy to make. They are made with basic ingredients that you can buy at your local super market or health shop. The pictures are beautiful. I know that may not be that important, but we do kind of eat with our eyes. They tell you exactly how much net carbs, protein and fat there are in each recipe. These recipe books take away the feeling of being overwhelmed with your new healthy lifestyle. This is how you simplify your life and make good healthy breakfasts, lunches and dinners in super quick time. These are recipe books with simple easy to make recipes. If you are a gourmet cook, you may find these a little too simple. There are no weekly or monthly meal plans. These are simple recipes that you can mix or match as you feel like. If you want detailed meal plans, then this is probably more what you are looking for. These are pdf ebooks. If you like "real" books then these are not for you. Off course if you are somewhat messy like me, you can reprint these at any time if they become soiled from too much use. 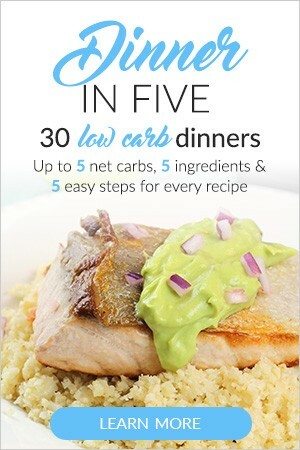 If you are looking for simple, easy to make quick recipes, then these Keto in 5 recipe books are for you. If you are looking for breakfast recipes only, then grab just that one. Or maybe you already have lots of breakfast ideas, but are looking for ideas for packed lunches. Then grab only that one. 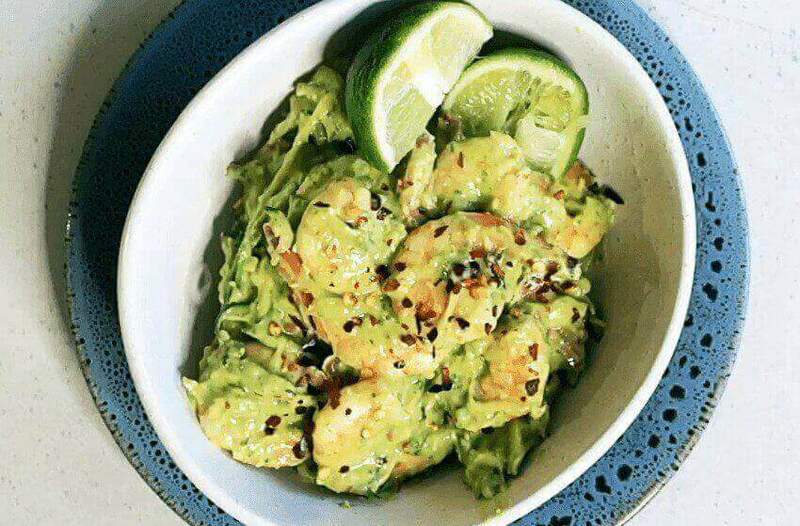 I like these recipes, because it shows just how simple it can be to cook the keto way. Somehow many of us have this thinking that Keto has to be complicated and that it takes for ever to make delicious dishes. With these meals you will be surprised how easy it is to cook the perfect meal every time and still keep your carb intake low. Sometimes all it takes is to find the right recipes to easily incorporate a healthy lifestyle into your busy life. Click here to discover this for yourself. If you found our Keto in Five Review valuable, please share it with your friends.